The release of preliminary January payroll employment data by the Florida Department of Economic Opportunity indicates that Orlando continues to lead the state and nation in job growth into 2017. 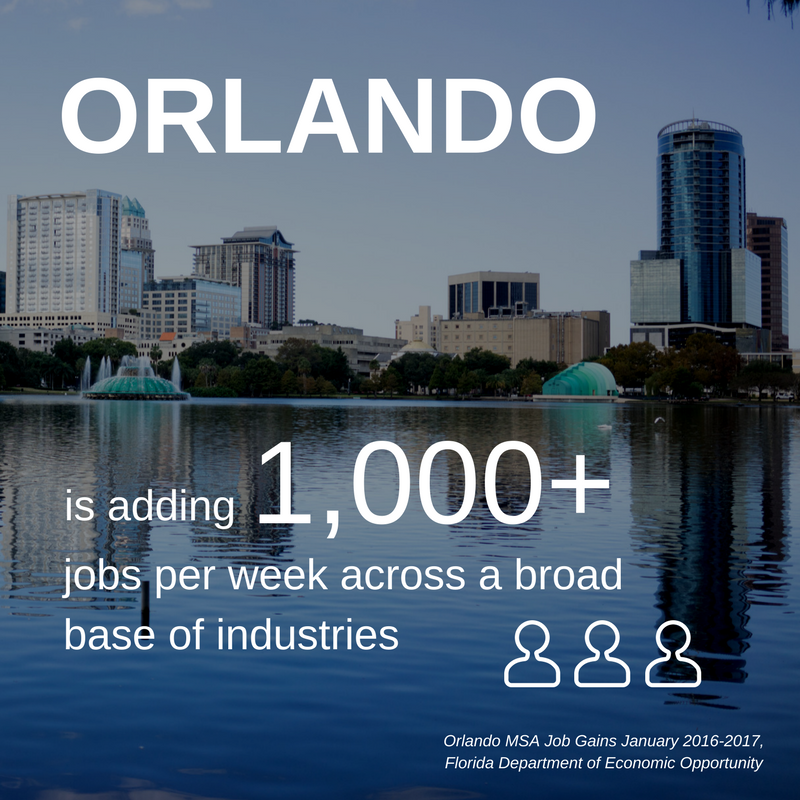 Orlando is adding more than 1,000 jobs per week across a broad-base of industries. The professional and business services industry, which includes legal, accounting, computer systems design, management and administrative services had the largest net gain with 13,200 new jobs, outpacing the region’s leisure and hospitality industry. Construction employment grew the fastest with 10.4 year-over-year percentage change. Only the information industry, which largely covers media-related industries, recorded a contraction in the previous 12 months. In the past few weeks, more than 20 million students have returned to college campuses across the United States for the start of a new school year. Approximately 500,000 of those students attend colleges and universities within 100 miles of Orlando. Orlando’s central location and proximity to major state universities including the University of Central Florida, the University of Florida and the University of South Florida provide a rich annual supply of new talent for regional employers. The region added 47,200 jobs year-over-year with 500 jobs in April, driving unemployment to its lowest level in nearly seven years. Growth in office-using employment is extending recent momentum. 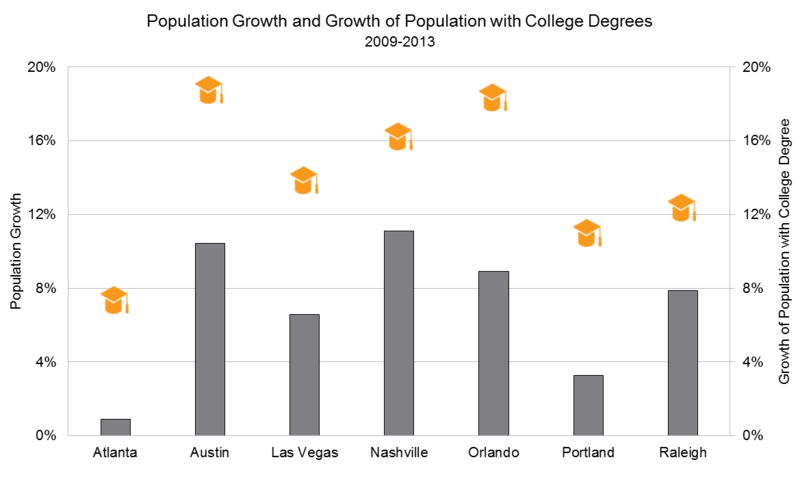 All 12 of the Orlando region’s reported sectors registered year-over-year gains, supporting overall year-over-year growth of 4.3 percent. Unemployment fell 0.3 percentage points to 4.9 percent, its lowest level since May 2008. The addition of 1,000 office-using jobs in April, in the business services, financial and information sectors, confirmed a growth trajectory that now exceeds the larger market. Employment in office jobs has grown 5.4 percent in the last 12 months, significantly above the 4.3 percent recorded market wide.